The Detroit Free Press just published compensation figures for the CEOs of GM, Ford and Fiat-Chrysler. And let’s just say: if you’re a Bernie Sanders supporter, you might want to look away. Big money, folks. That’s what the big three’s CEOs are raking in these days. 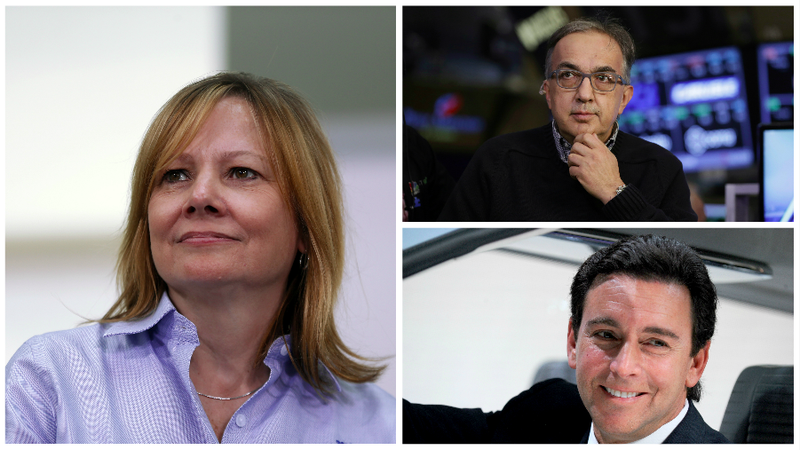 Today, the Detroit Free Press published compensation figures for GM’s CEO Mary Barra, Fiat Chrysler’s CEO Sergio Marchionne, and Ford’s CEO Mark Fields. Freep admits that often times, there’s a lot of cash “hidden” from the numbers companies choose to disclose. For example, deferred money and other incentives and perks may not be accounted for.